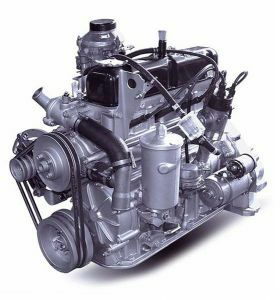 Gasoline, carburetor, 4-cylinder in-line engine with aluminium cylinder block. The engine ZMZ-4104.10 has high torque and increased power at the expense of the increased cylinder diameter. The engine is installed on off-highway vehicles manufactured by the Ulyanovsk Automobile Factory.